Two pieces of ammunition fell into the residential sector in the area of 11 Severnaya Str. and 13, Dachnaya Str. Units of the so-called "DPR" militants fired artillery on residential areas of the village of Vodiane, Novoazovsky district of the Donetsk region, the press center of the ATO headquarters stated, referring to the Ukrainian side of the Joint Center for Control and Coordination (JCCC). “In the Sakhanka- Vodiane direction, two pieces of 152-mm artillery ammunition hit the residential sector near 11 Severnaya Street, and 13 Dachnaya Street, of the mentioned settlement. As a result of the shellburst, the walls, windows and roofs in the apartment house were damaged by shrapnel," reads the message. On the territory of land plots with uninhabited houses craters from shells were recorded as well. "Fortunately, local residents have not suffered," the ministry specified. 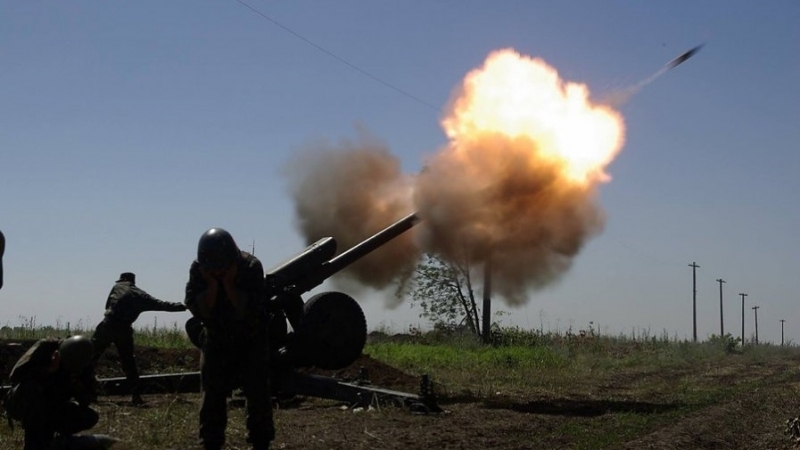 Earlier, the "LPR" terrorists opened artillery fire on the private sector of the city of Popasnaya in Luhansk region.